Increases in air temperature due to the anthropogenic greenhouse effect can be detected easily in the phenological data of Europe within the last four decades because spring phenological events are particularly sensitive to temperature. 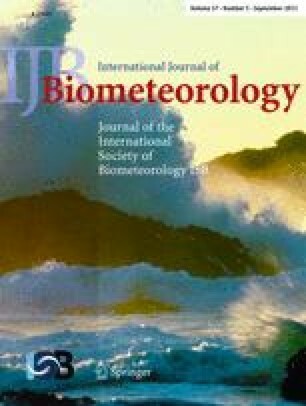 Our new analysis of observational data from the International Phenological Gardens in Europe for the 1959–1996 period revealed that spring events, such as leaf unfolding, have advanced on average by 6.3 days (–0.21 day/year), whereas autumn events, such as leaf colouring, have been delayed on average by 4.5 days (+0.15 day/year). Thus, the average annual growing season has lengthened on average by 10.8 days since the early 1960s. For autumn events, differences between mean trends of species could not be detected, but for spring events there were differences between species, with the higher trends for leaf unfolding and flowering of shrubs indicating that changes in events occurring in the early spring are more distinct. These observed trends in plant phenological events in the International Phenological Gardens and results of other phenological studies in Europe, summarised in this study, are consistent with AVHRR satellite measurements of the normalized difference vegetation index from 1981 to 1991 and with an analysis of long-term measurements of the annual cycle of CO2 concentration in Hawaii and Alaska, also indicating a global lengthening of the growing season.